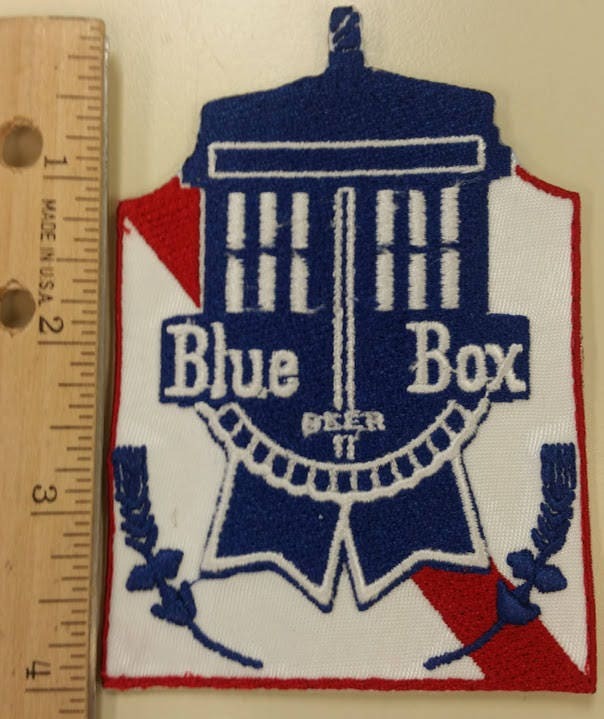 This funny embroidered patch mixes the Tardis with Pabst Blue Ribbon Label. 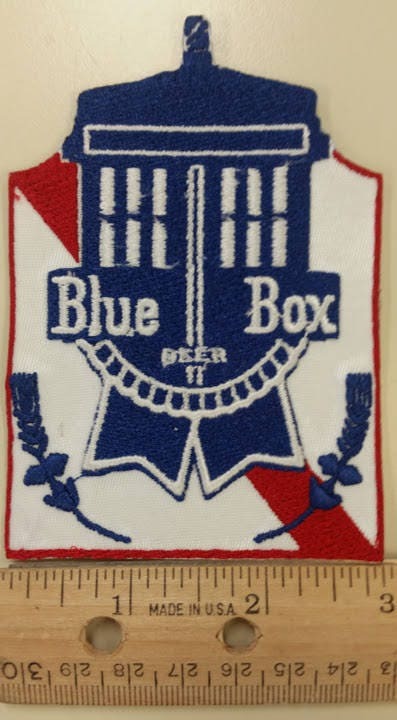 Who fans or Beer fans will get a kick out of this patch. 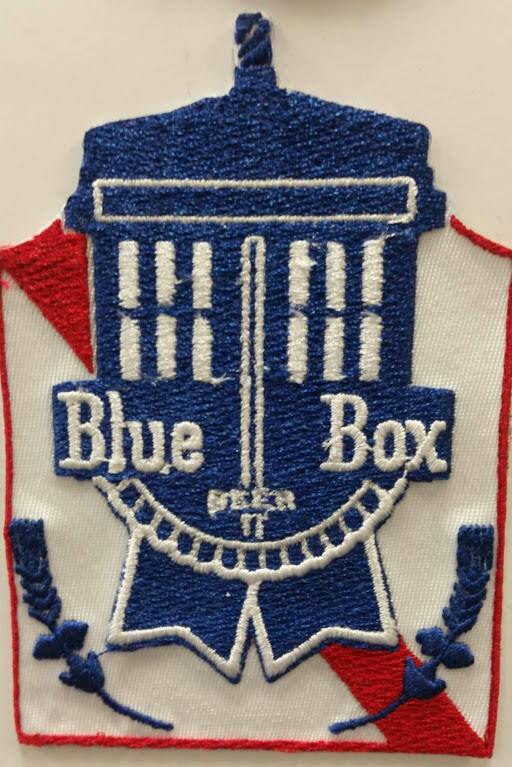 It has an applique white background and is sewn with red, blue and white thread. 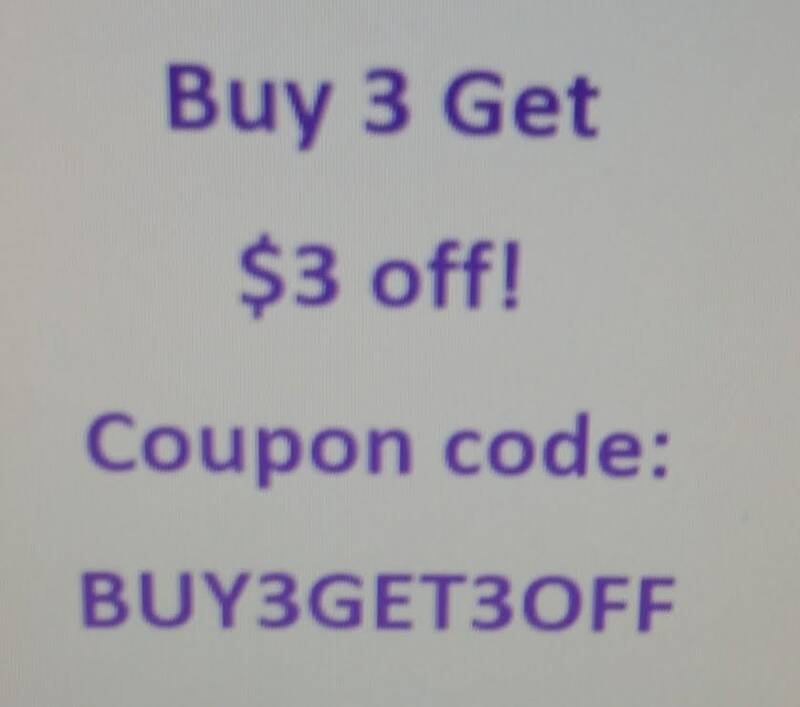 It measures approximately 3"W X 4"H and has an iron on backing. Love It! Shipping as expected.